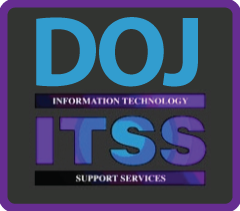 Concept Solutions is excited to have been selected as an awardee on the Department of Justice’s Information Technology Support Services-5 (ITSS-5) IDIQ contract vehicle. This was achieved with our Joint Venture partnership with Fig Leaf Software to win a spot on this core contract vehicle serving the Department of Justice and its constituent components. ITSS-5 is available to all bureaus within the Department of Justice, including FBI, DEA, ATF, and the Justice Management Division. ITSS-5 provides each component with mission-critical IT services. This strategic vehicle will allow us to expand the base of federal customers that we serve and will be key in assuring Concept Solutions’ continued growth. We look forward to an exciting future supporting DOJ.